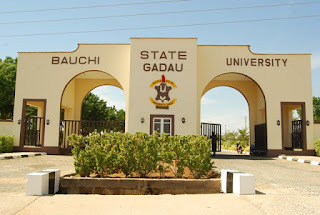 Bauchi State University, Gadau (BASUG) Remedial Programme First [1st] Batch Admission List, Screening and Registration Date of Freshmen for 2018/2019 Academic Session Out. This is to inform all candidates who applied for admission into the Bauchi State University, Gadau (BASUG) remedial programme for the 2018/2019 academic session that the admission list has been released. Kindly visit the link http://basug.edu.ng/release-of-first-batch-2017-2018-remedial-admission-list/ to access BASUG remedial admission list for the 2018/2019 academic session. Successful candidates can download and print admission letters through their online application profiles. Admitted candidates can proceed to the Remedial Directorate and obtain clearance before proceeding with registration. Screening and Registration for First Semester 2018/2019 academic session commence on Wednesday, 14th November 2018. Closing date for registration will be announced. For further inquiries, please contact Alh. Sani Wada on 08069545395.